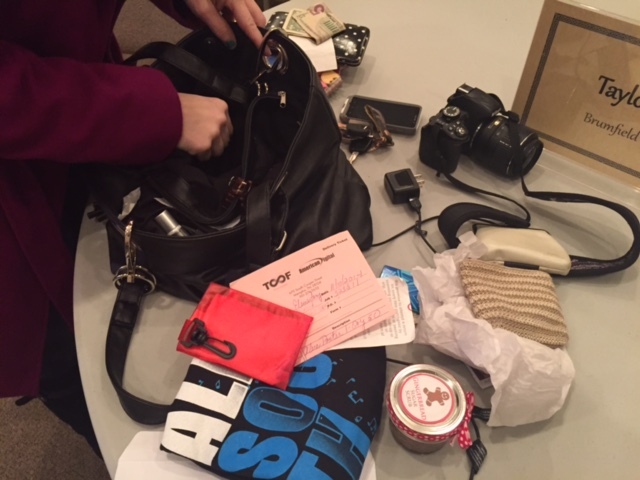 Last night I watched a good friend empty her purse trying to find her USB flash drive, and I was amazed at how much she pulled out of that purse before she found it. I know all of us women have found ourselves in this same situation at one time or another. As I stood there watching, I thought about some spiritual lessons I could learn from this. 1. Just as I need to periodically clean out my purse and throw away the junk that is of no use, I need to consistently keep my heart clean. I shouldn’t wait to confess until things get so messed up that I realize I need to do something. Confession should be something I do throughout the day as sin creeps in. Storing up my sins till they overwhelm me is only going to lead to a bigger mess. 2. When I have too much clutter in my life, everything is disorderly, and I lose track of the important things. I need to de-clutter on a regular basis, and ask God to show me what’s important and priority. The other things can be put aside. 3. I need to be more intentional about what I allow into my life. My purse sometimes becomes a dumping ground for anything and everything that I don’t know what to do with. I get a receipt and I shove it down in my purse. Why don’t I just throw it away when I get it? I wouldn’t have to declutter and confess if I took care of things as they come up, instead of stuffing them for later. 4. A full purse weighs me down with unnecessary weight that I shouldn’t be carrying around. In the same way, I tend to carry burdens with me that God never intended for me to carry. But I don’t leave them with Him. Instead, I lug them around with me, and they wear me out. 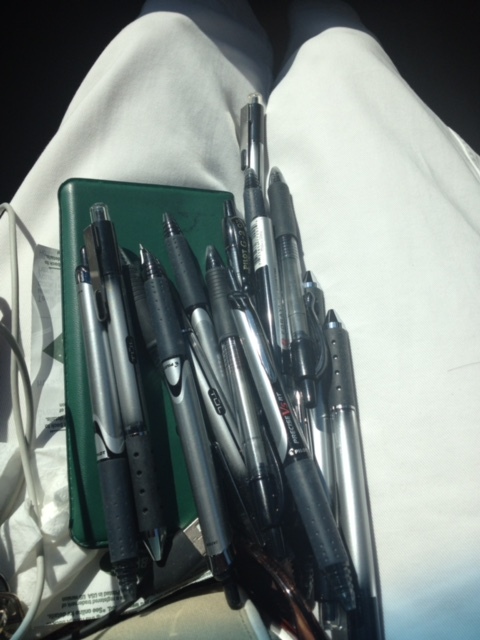 Do you think I have enough pens in my purse? 5. As I watched my friend empty out her purse last night, I also watched her stuff everything back in after she found what she was looking for. It would have been a good time for cleaning out things that she didn’t need; thus, lightening her load. In the same way, I often tell God what is bothering me and weighing me down, but I don’t leave those things with Him. I pick them back up as I go out the door to work. I’m sure there are plenty other spiritual lessons from this, but enough from me. What lessons for life can you learn from your purse? I’d love to hear from you.